We’re out tonight – so PREVIOUSLY SAVED RECIPE ACTIVATE. We won’t let you down! We’re aiming hard not to miss the 85 recipes a day before Christmas but sometimes, life overtakes us! Seems fair enough though. If you’re busy and you want something quick and easy, this will do nicely. 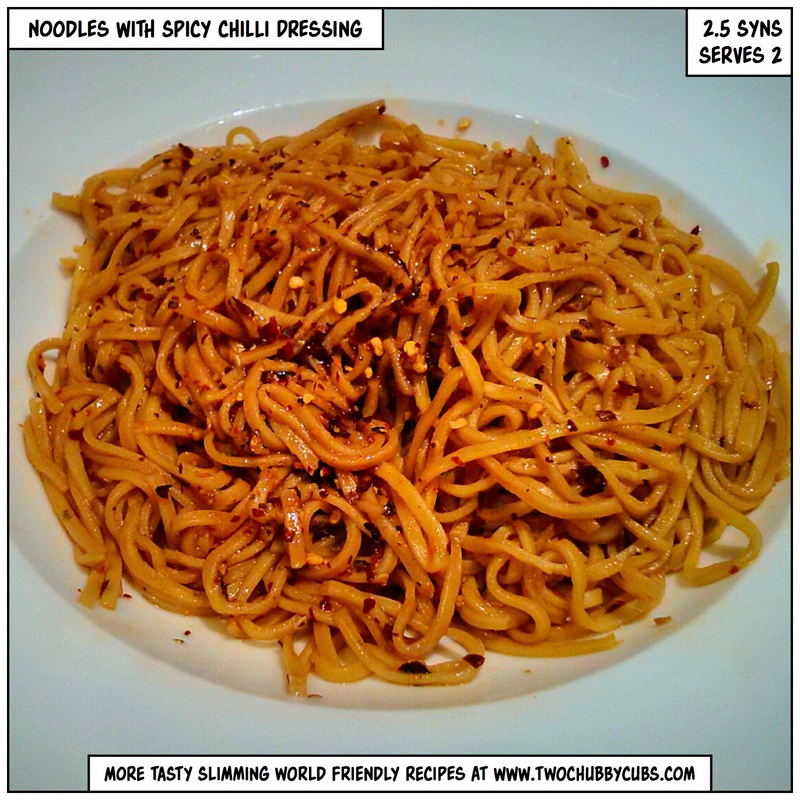 I know some people find spices difficult – if that’s the case, you could omit the noodles and just dress them with sesame oil, but you’ll need to syn that. Add some quorn for an even better big meal! This dish takes less than five minutes to prepare.. It’s as simple as this – spices mixed with honey and oil then used to dress noodles. I mean honestly, even you can’t mess that up. This often does us for a quick lunch if neither of us can be arsed to cook – surprisingly often! Just make sure you put it into a decent Tupperware box where the oil won’t leach out and stain the container! You could dress this up by adding some stir-fried vegetables or other such nice things, but honestly, keeping it simple will really pay dividends! Christ I’ve got a cheek calling that a recipe but really, it’s quick and tasty. You could bulk it out with tomatoes, onions, meat, anything, but just in its pure form it’s really very nice!